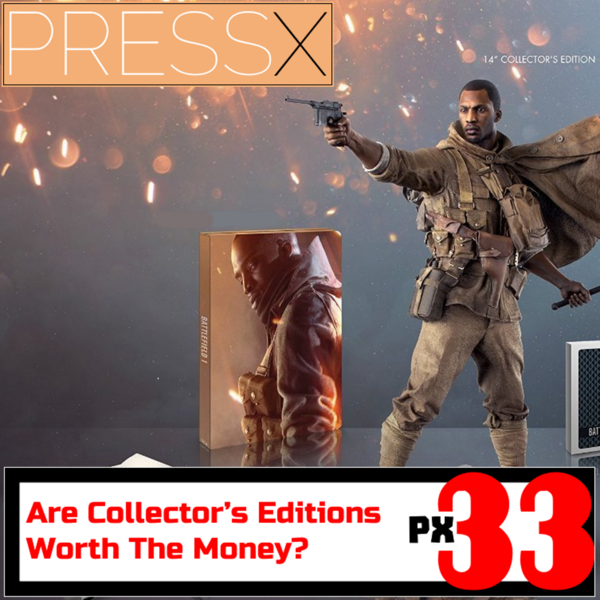 Audioboom / PX33 - Are Collector’s Editions Worth The Money? The video games market is expensive and over-saturated, but collector’s editions, special editions and the ubiquitous “game of the year” editions have generally held a special place in the hearts and wallets of gamers. The question is, are they really worth all of that extra money? Gaming is, after all, an expensive hobby, and not everyone has a bottomless wallet. Join Andy, Mark and Producer Rob as they venture down one what turns out to be one of gaming’s stranger rabbit holes in an effort to find out.